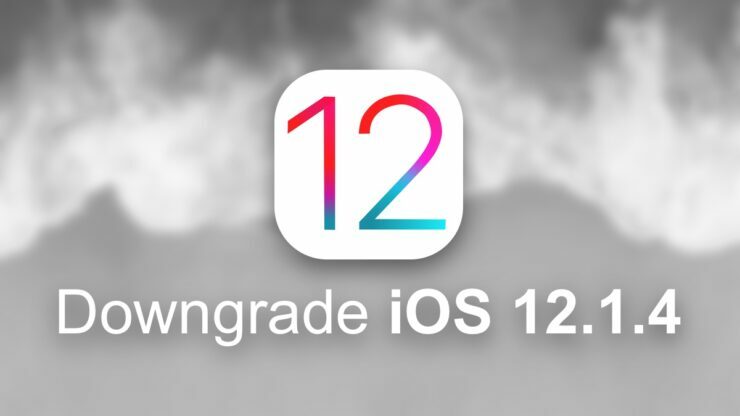 Need to downgrade iOS 12.1.4 back to iOS 12.1.3? Here is how you can do it on your iPhone, iPad or iPod touch. Apple released iOS 12.1.4 a while back with fix for the Group FaceTime bug. But immediately many users will disagree with the newly released update and would prefer to go back to iOS 12.1.3 for various reasons. The reasons might include erratic performance or battery life hits on some devices. These things usually iron themselves out once the device is done indexing the content. But if you can’t wait then downgrading is the way to go. So, in today’s tutorial we will show you how you can downgrade iOS 12.1.4 back to iOS 12.1.3. Remember one thing, iOS 12.1.3 will likely see itself not being signed anymore very, very soon. Therefore make sure you act fast if you want to go back to iOS 12.1.3. 1. Make sure that you have backed up everything on your iPhone, iPad or iPod touch to a safe location. You can either use iTunes or iCloud. Choose the route which you think is easier for you. 2. Now download the iOS 12.1.3 firmware file for your device. 3. Connect your device to your PC or Mac using a Lightning cable and launch iTunes. 4. Once your device is detected by iTunes, it will show up as a tiny icon on the top left hand corner. 5. Click on the tiny iPhone button, and then click on ‘Restore iPhone’ while holding down the left Shift key (Windows) or the left Option key (Mac). 6. Select the firmware file you downloaded in step 1 of this tutorial. 7. iTunes will first extract the contents of the firmware, which may take a while, then restore your device. The entire process shouldn’t take more than 15 minutes at best. Once you are done, you’ll land straight onto the iOS Hello screen. Simply set up your iPhone, iPad or iPod touch as brand new or restore from a backup. It’s entirely your call how you want to proceed forward with this. Remember, if you rely on Group FaceTime a lot, then make sure that you are on iOS 12.1.4. Apple has given an official statement saying that the feature will remain disabled if you do not update to iOS 12.1.4.